An excellent solution wizard for MS Outlook PST Recovery. Also repairs corrupt PST file, repair shift deleted emails, contacts, tasks, and save data in the different formats like; PST, MSG, EML, HTML, Office 365. Repairs and Recover Corrupt PST file from all types of corruptions. 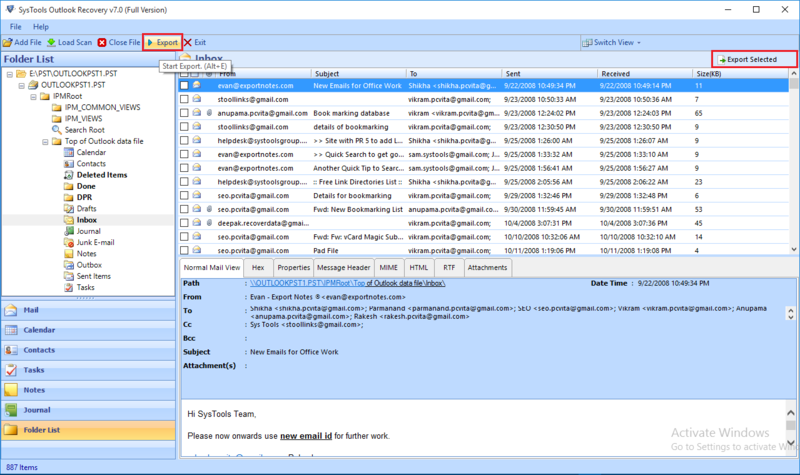 Restore deleted emails from PST file with notes, tasks, and contacts etc. Export recovered data in 5 formats like; PST, EML, HTML and MSG. 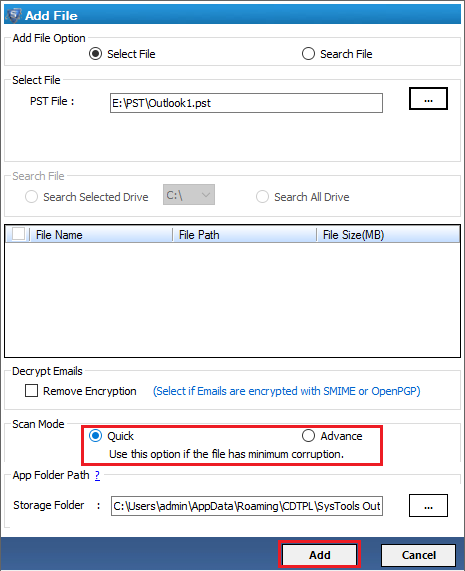 No size limitation, recover Outlook PST file of any size. Split a large size PST file into smaller files of desired size. The PST repair tool highly repair corrupt PST file as it supports two modes of scanning Advanced Mode & Quick mode. For normal issues use Quick mode and for highly corrupted file, use advanced scanning mode. Repair corrupt PST file of any size, there is no size limitation. It also recovers the corruption or damage that occurs due to the oversized issues ( i.e 2GB, 4GB etc. ) of the PST files and exports it in a healthy Unicode PST file. Outlook PST Recovery tool divides the large sized data file into a file of any size that is required. User can select any size between the offered range of 1 to 45 GB and create the PST's of size that are easily manageable. After performing all the recovery operations you can save the processed data in any desired format (PST, EML or MSG) and also maintain the original formatting of email headers, attachments from the PST data files. 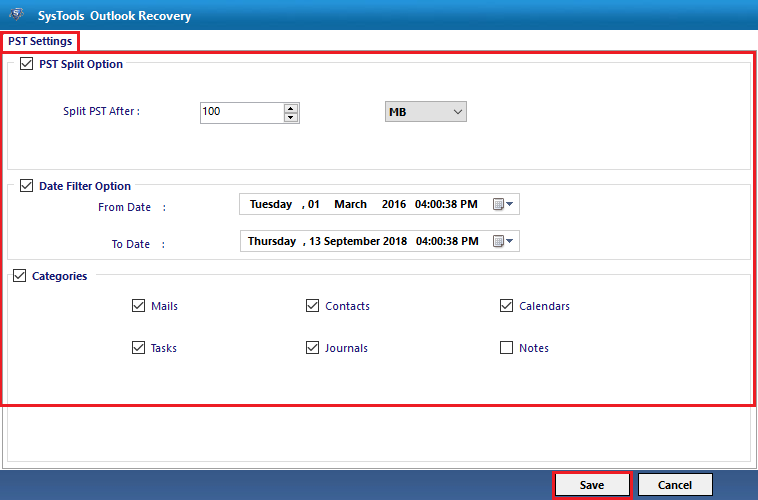 The Outlook PST recovery tool is capable to recover permanently deleted Outlook contacts, emails, notes, journals and calendar, etc. 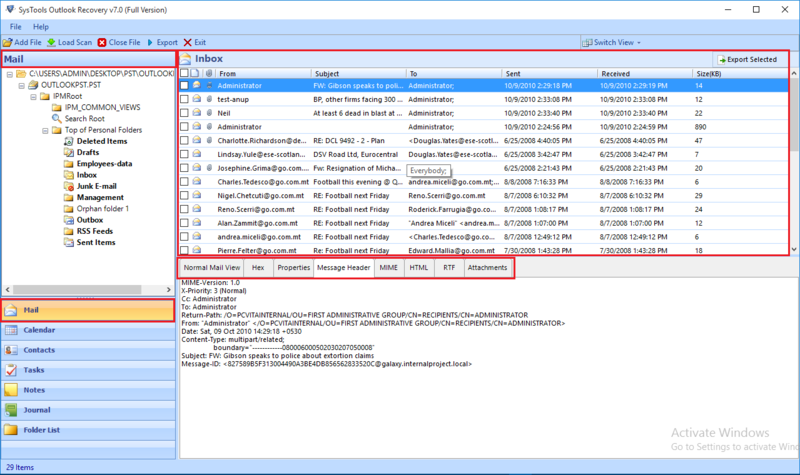 You can restore deleted emails from PST file using the advance scanning mode of the program. The software also provides a preview of recover deleted items in red color. 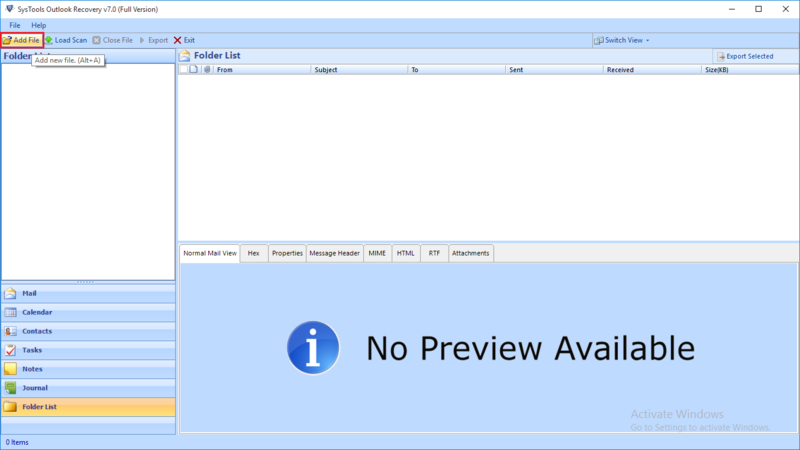 The Outlook PST recovery tool maintains all the folders, sub-folders and custom folders sequentially. Using this function, we can export PST files in their actual folder via mapping without mixing the data. This software also provides mail filtering capabilities with which users can filter the PST file emails by date. 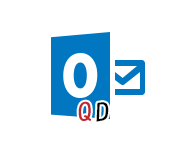 The feature is developed for users who desire to recover Outlook PST file data of a required time period. 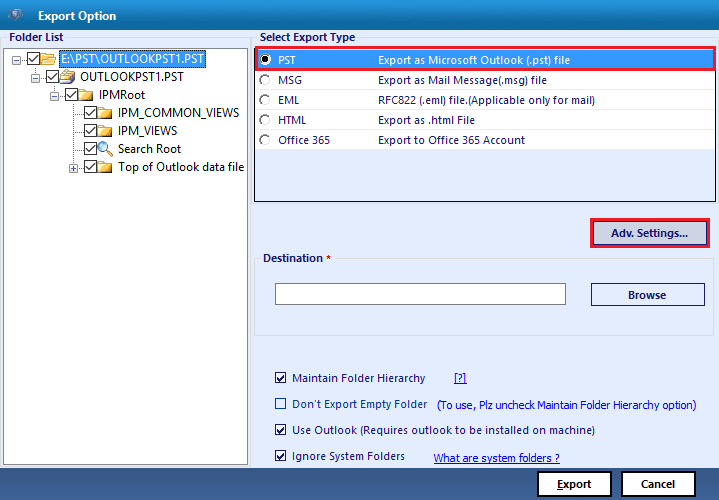 If the user needs to save Outlook data file in the MSG or EML format, then select one out of the naming options. The Outlook PST Recovery Tool provides more than 7 formats that are useful in managing emails. It creates a proper log report of the whole recovered items with saving location, total item count. Also generate comparison report with which user can compare the data with before and after recovery/conversion. The PST file is the heart of MS Outlook and stores its emails, contacts, tasks and everything present within. With every edition of the MS Outlook especially Outlook 2000 and 2002 where the size limit is only 2 GB; chances are that corruption occurs more due to oversizing of the PST files than any other reason. In such cases the user needs to repair or split the PST file time to time to avoid corruption. Forced application closure or accidental power failure may cause corruption. PST files may get corrupted due to virus attacks. Manual splitting of PST may also cause corruption if not split in an efficient manner. Sharing PST files over a network could be a strong reason for corruption. MS Outlook provides an inbuilt application named scanpst.exe (Microsoft Inbox Repair Tool) which allows repairing minor header corruptions from the PST file and fails in repairing deep level of corruptions. So you can try this easy to use solution, however, if scanpst.exe fails, try the below mentioned solution. The PST recovery tool is capable to handle all issues related to PST and can open a corrupt PST file even with deep corruptions. It supports scanning of the file in two different modes. Quick Mode (default) –The mode is used for the minor corruption in PST file. Advanced Mode – This mode is highly recommended in cases where, corruption ratio is high and also for recovery of permanently deleted mails. Step 1: Click on the Add File button to start Browsing the Outlook files you want to recover. Step 2:You can either search or select PST file for recovery. Step 3: Select Remove Encryption Option to decrypt SMIME or OpenPGP encryption from Outlook email message. Step 4: Two modes: "Quick Scan" and "Advance Scan" are available as per your requirement. Click on Add. Step 5: You can view the emails with attachments. Step 6: Click on Export. 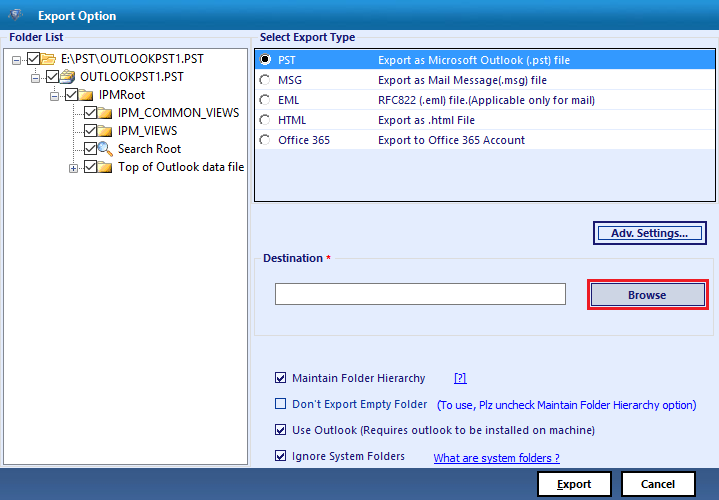 Step 7: You can export PST file in PST, EML, MSG, HTML and Office 365. If you select the option of PST then Click on Advance Settings. Step 8: Provide required advanced setting options like date filter, split pst, etc. Step 9: Then you can apply date filters and select categories. Click on Save. Step 10: Chose destination location, where user needs to save resultant PST file generated. Can I Repair ANSI PST files and restore it into UNICODE format? Yes, the PST recovery tool is capable to recover both ANSI as well as UNICODE PST files. The resultant PST files will be obtained in UNICODE format and can be accessed into MS Outlook 2003 and newer versions. 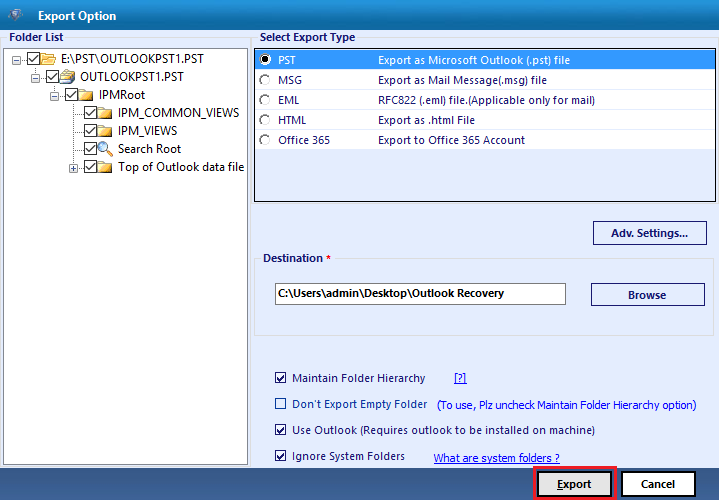 Is it possible to perform Outlook email recovery process without installing MS Outlook application? No, to recover corrupt PST file it is mandatory that MS Outlook application must be installed on the machine. It should also be configured to valid POP profile. Is it possible to recover permanently deleted emails from PST file? Yes, by performing Advance scan on the PST file, the deleted components can be restored back to their respective folders. The Outlook PST recovery tool offers 2 scanning modes for repairing PST files. Does the Outlook recovery tool recover corrupt PST file data where ScanPST.exe fails to do so? Absolutely, the tool helps in recovering data from even severely corrupted Outlook data files. ScanPST.exe helps recovering PST files that have undergone minimal level corruption. 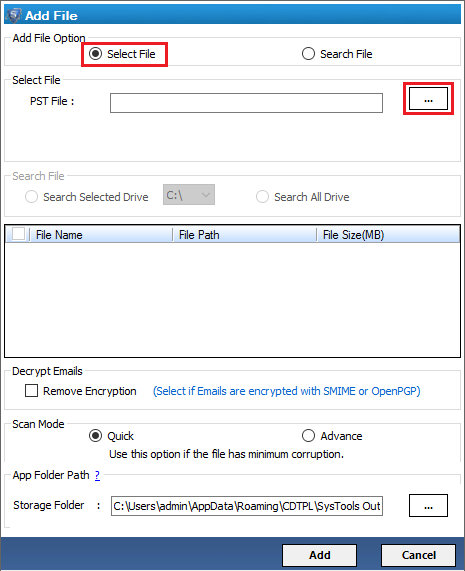 Quick scan mode can be used to recover data from lower level corruption whereas Advance scan option allows users to recover Outlook contacts, emails, calendars and all other items even if the corruption is of higher extent. Can I use MSG format to save entire Outlook mailbox data? For saving entire mailbox data into its original format it is suggested to export data to PST file format. EML and MSG file formats are applicable to restore email messages only as they save a single message per file and offers more organized format for saving electronic messages. I want to have my recovered PST file in my Office 365 account. Is it possible to get it done with this software application? Yes, This software is capable enough to directly provide a place to your repaired PST file in Office 365 account without any data loss. Corruption in Outlook data files is proved to be the nightmare as these files holds some really confidential and crucial information but the Outlook PST repair software appears to be the silver lining in the dark clouds of data loss. Its ability to recover both ANSI as well as Unicode PST files makes it more scalable. My main requirement was to save Outlook mailbox emails into single file format so that they appear more organized. The corrupt PST Recovery software enabled me to restore data into EML and MSG file formats. It also provides naming options for saving the email messages and this offers easy accessibility while searching for a particular file. I was searching for a product that can help recovering damaged PST files and I opted for Outlook email Recovery as it fits all the intended needs. I tried the demo version and its ability and performance compelled me for investing into its licensed edition. 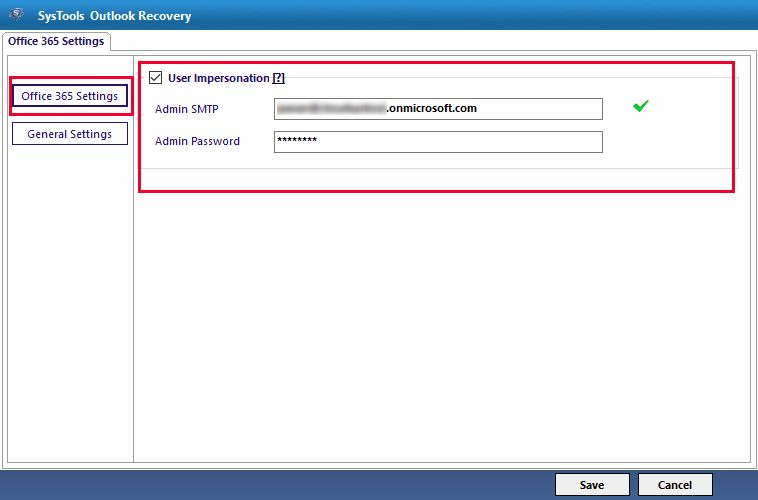 The GUI of the tool makes the recovery task easier as it appears similar to that of MS Outlook. Outlook PST Recovery tool not only offers recovery for corrupted PST data files but also offers to save large volume PST into smaller partitions. This reduces further chances of corruption and data loss as damage in single partition would not affect the overall information. The tool also offers to export specific period data to the selected file format.